Over the years, Luxury Metals has sold tens of thousands of high quality exterior metal vent covers to a wide variety of customers including roofers, architects, contractors, home builders, property managers, building owners and individuals. The overwhelming need in the market is a thicker and better quality exterior vent that will perform well over the years and not fall apart or leak like many of the cheaper grade metal and plastic products that are more readily available at big box stores and supply houses. "We were working on a 200 unit condo building renovation and we spent a lot of time researching the best products for covering the outside vent terminals. 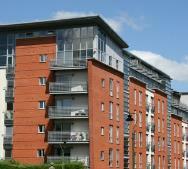 Luxury Metals checked out well and provided an excellent product and service for a fair price. The building renovation is complete and the stainless steel wall caps look great and will last for a long time." We have established ourselves as a premier supplier of exterior metal vent covers for high rise condo and multi-tenant apartment complexes. A similar story has played out many times over the years. A representative of a condo board or a contractor assigned with renovating a large scale multi-unit complex is left with the task of locating a top quality termination for venting dryers, kitchens and bathrooms in each unit. This is generally part of a multi-million dollar exterior renovation and so the quality of all products including the vents is important. 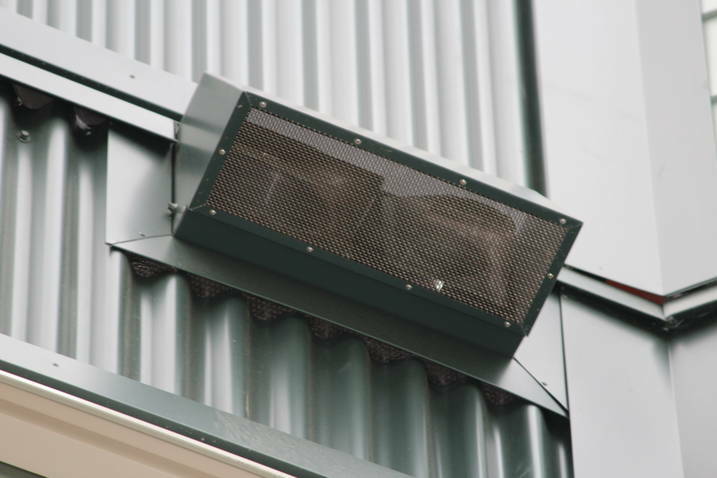 Cheaper vents can be the cause of a litany of problems including water penetration, bird and insect intrusion and wind rattle and energy loss. We quickly work with the customer to identify the scope of the project and then provide a cost estimate and delivery timeline, understanding the need to produce and deliver quickly and as promised so that the many moving parts of a large scale multi-unit exterior renovation project can progress as planned. We offer metal vent covers made from sturdy 16 oz copper, 304 stainless steel and 26 gauge galvanized metal for side wall, roof top and under eave venting. Copper vent cover are desirable because of their classic rustic look and will hold up to harsh weather and patina over the years to create a classy look. Stainless steel vent covers are the most durable product that we offer. Stainless will not change color and will withstand harsh, corrosive and salt environments without rusting. Our thick gauge galvanized and aluminum vent covers are less expensive but weigh the same as our stainless and copper vents. Galvanized vent covers are typically used in non-corrosive environments and often painted to match their structure. 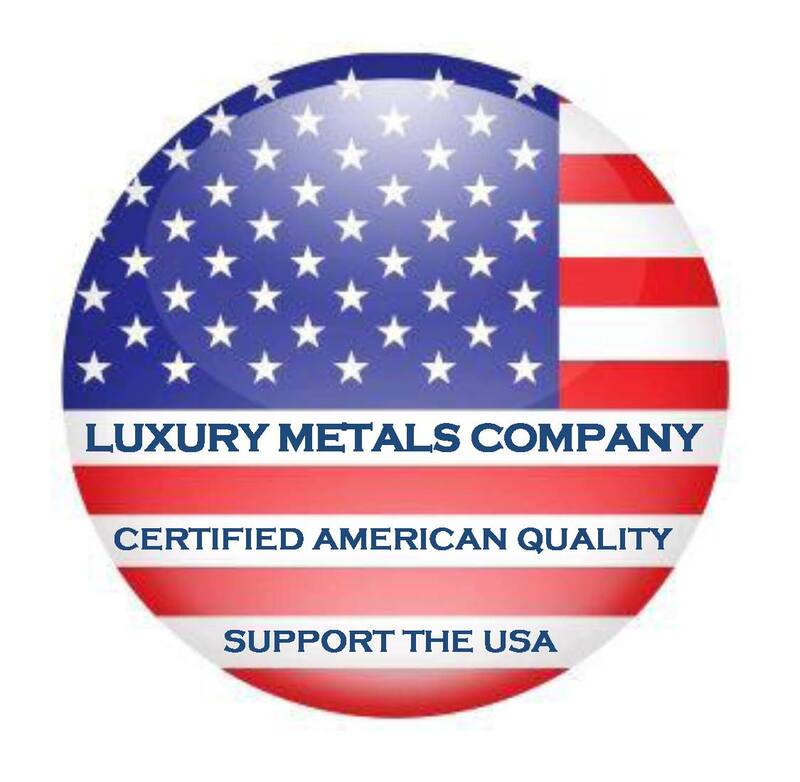 Luxury Metals will provide sample vents for quality inspection and submission to the decision makers prior to finalizing the details of the project or collecting any payment. We are 100% committed to providing high quality, American made ventilation products and superior service within the industry.